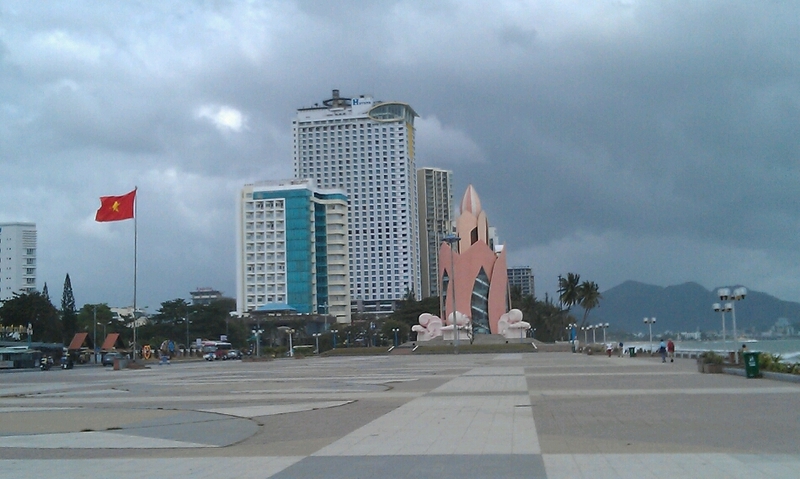 Considered Vietnam’s most famous seaside resort-town. 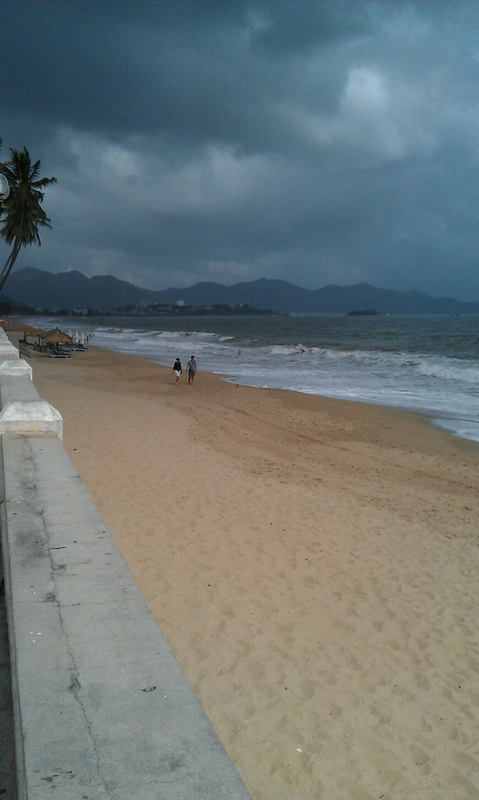 Nha Trang attracts foreign tourists not only to its huge sandy beach, but also for the vibrant atmosphere of a growing tourist city. 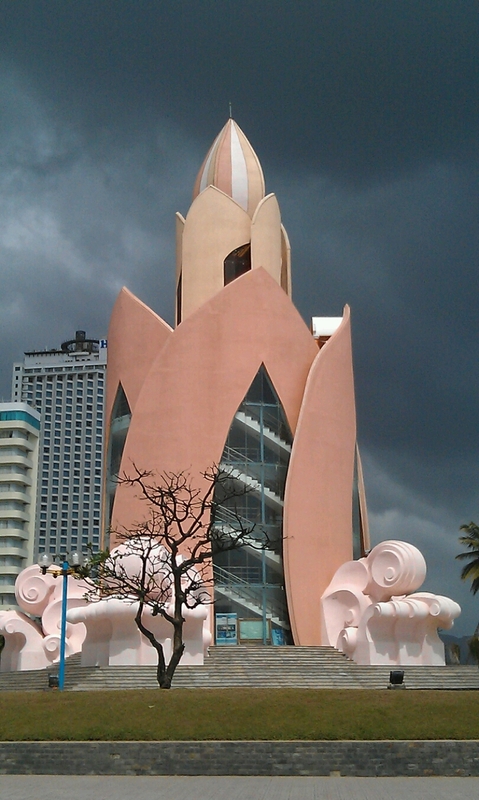 It has a wealth of international themed restaurants, bars & nightlife spots. There is a variety tourists here including European. However, it is hugely popular with Russian tourists as the amount of menus in Russian & Vietnamese people who speak Russian indicates. We stayed 5 days in total (we were initially staying 3, but had to add more as the trains were fully booked on our onward journey). 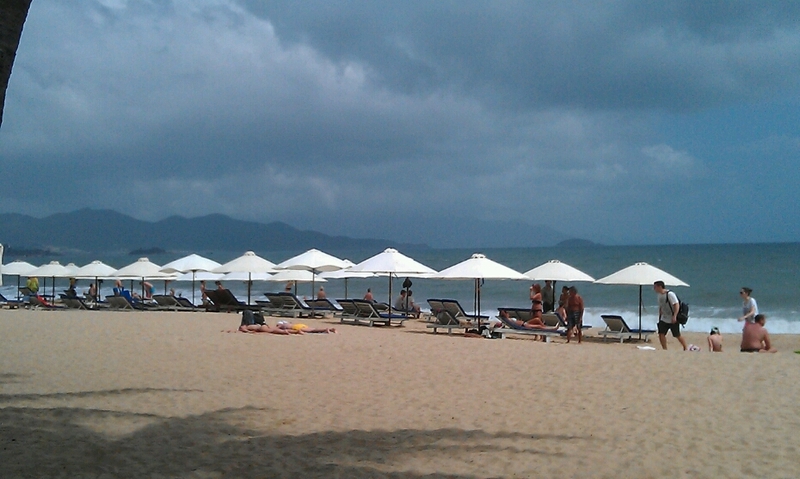 The weather during our visit was not great as unfortunately the photos indicate. 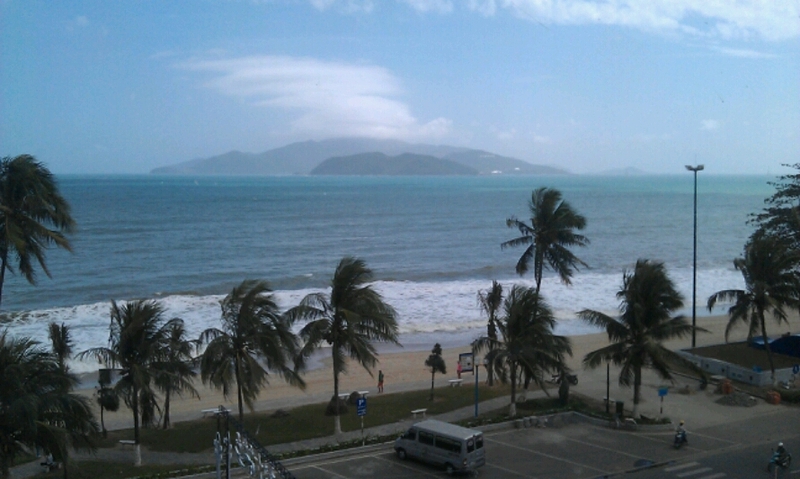 We stayed at the Souvenir Nha Trang at $20 a night on Booking.com. It is in a great location & has really friendly staff. Whilst it was nice to be in a seaside resort, with a diversity of food options; the resort itself reminded me of the Costas in Spain, with huge high rise buildings. 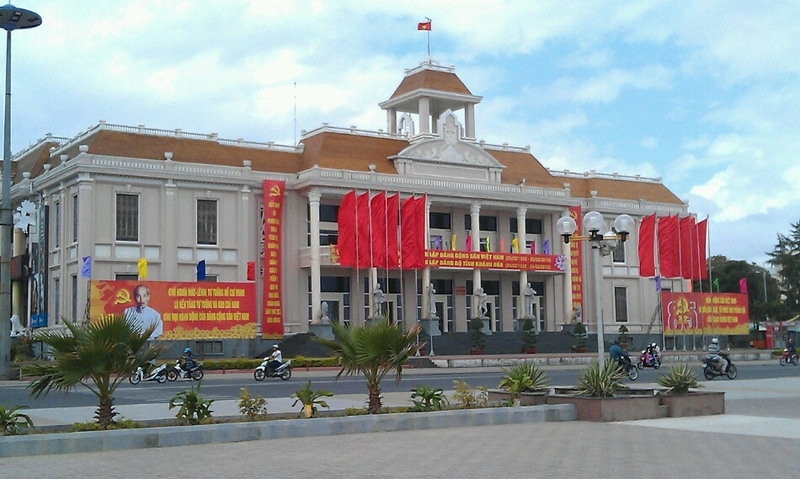 Having only been in Vietnam a week, I was keen to see something of the ‘real’ Vietnam so was happy to move on at the end of our stay.